Of course – this doesn’t tell the full story either. 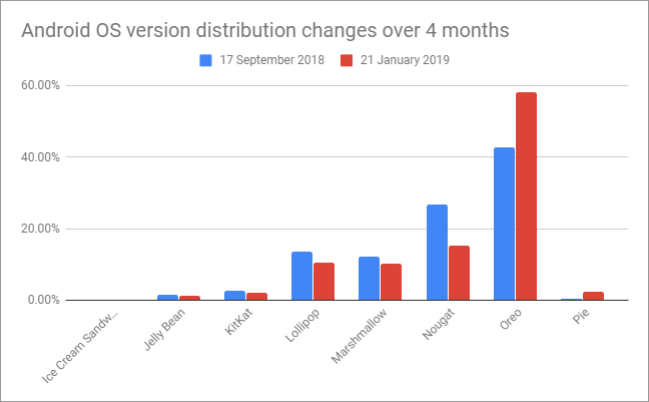 It isn’t clear whether the shifts are due to software upgrades on the same phones, or whether users have just got new phones – or whether they are completely different users, but it paints a picture. Something else to keep in mind when looking at this, is that my app is geographically biased towards London. So it isn’t representative of Android OS distribution across the world, or even Europe, it is very centred on London.